This class is great for children who are learning how to sew and/or are still working on some of the fundamental skills in sewing such as patience, problem solving, decision making and strengthening fine motor skills. Students enrolled in this class that already have some sewing experience, will be have additional elements such as zippers added to their projects to increase the levels of difficulty. - Using faster sewing machine stitches. - Working on higher speed machines. - Adding zippers seamlessly to products. - Learn to sew pockets. - Embroidery Stitches and more! Students in this class will begin the semester working on smaller items and will gradually progress through to larger projects. 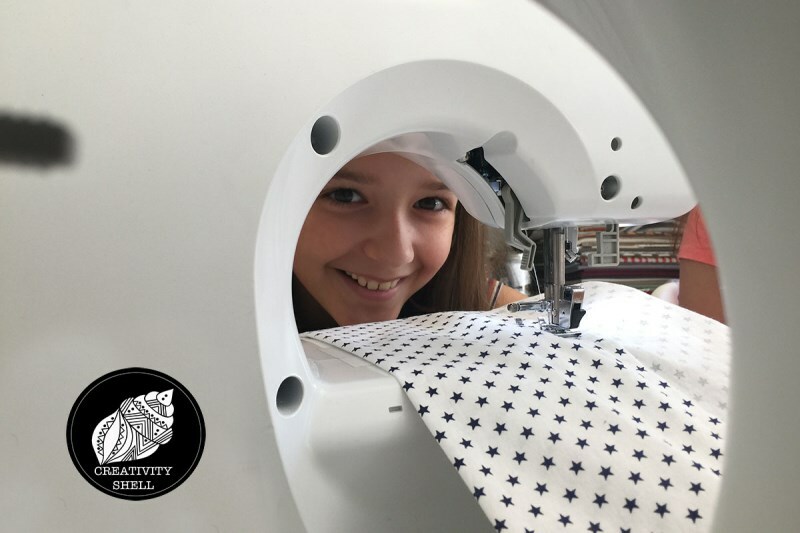 If your child has taken one of our sewing classes in the past and are still working on fine tuning their stitch, this is a great class for him/her. Copyright © 2019 Creativity Shell. All rights reserved.